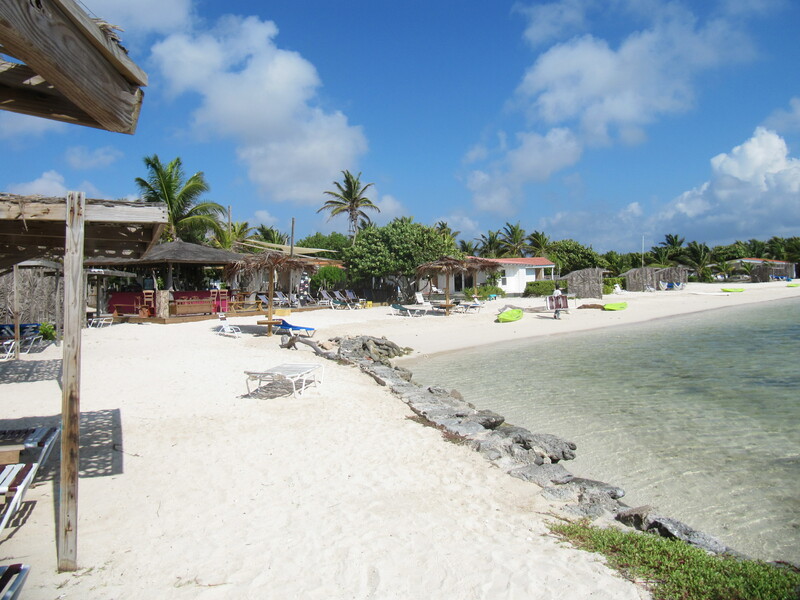 Are you seeking a low cost getaway to Bonaire? Sorobon Beach Club recently having purchased the former Lacbai Apartments, has a super sale. Now called SOROBON APARTMENTS, this bay view property features modern upgraded apartments included new bedding. There is a shuttle to the main property. Breakfast is included in the daily rate. The setting is a favorite for windsurfers due to the location on the bay. 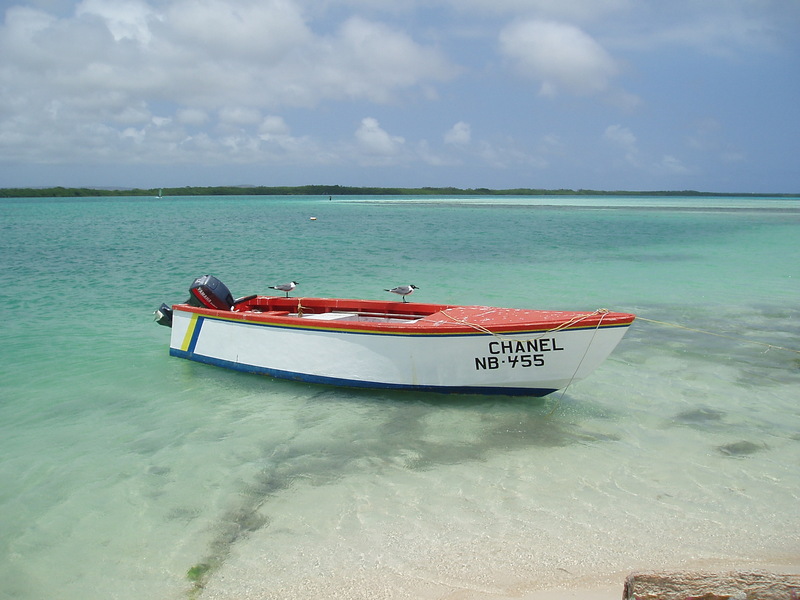 Feel the trades and have a restful vacation, close to the windsurfing launch. Check out the new sale, for new bookings only. Call for details! April 1-June 16 and July 1- Dec. 15, stay 7, pay for 5, stay 14, pay for 10. The Christmas trade winds arrived in time for the holidays. Marguerite and I have been camped out at Jibe City for the holidays. 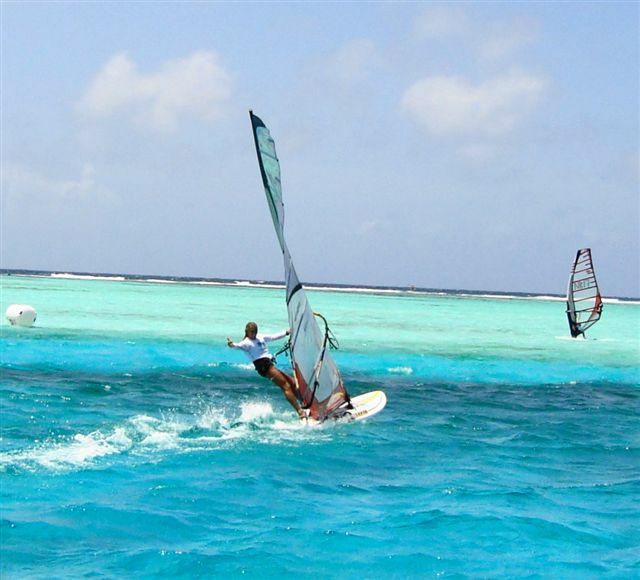 We have been watching the windsurf scene from our lounge chairs, enjoying the lovely cuisine at Hang out Bar and I have been catching a few solid windsurf sessions. My absolute favorite sail is the 4.7 meter Neil Pryde Wizard. Jibe City has a slew of newly rigged sails and brand new lovely JP boards. They also just received a shipment of Fanatic boards with more volume for the beginner or heavier sailor.